For new UKIP leader Paul Nuttall the “capital of Brexit” may be Stoke-on-Trent, but that did not stop one man from targeting him and Nigel Farage with an egg while they were canvassing in the city. 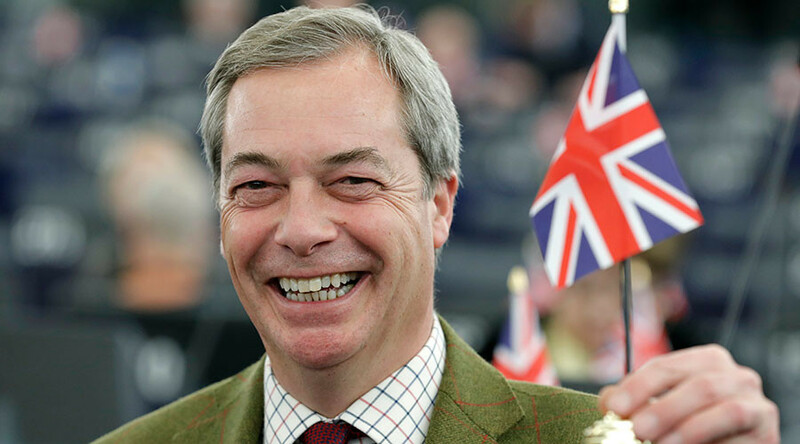 A one-time Conservative Party member, Nuttall has now taken up the position vacated at the head of the United Kingdom Independence Party (UKIP) by Nigel Farage. Perhaps proving that UKIP policies and last year’s EU referendum still rankle with some people, the pair were targeted by a man who lobbed an egg at the duo. Farage is in the area to drum up support for Nuttall’s Stoke-on-Trent constituency bid, which will see voters go to the polls later this month. One person that presumably won’t be voting Nuttall is the man pictured on Monday trying to pelt the UKIP associated pair with an egg. The unidentified male’s eggy assault appears to have been thwarted by Farage, who was carrying an umbrella bearing his former party’s yellow and purple colors. Pictures surfacing on social media show how the projectile was launched from behind Farage and Nuttall before it smashed on top of an umbrella the staunch Brexiteers were walking under. Nuttall previously referred to Stoke as the “capital of Brexit” after almost 70 per cent of the population voted to leave the European Union. He is due to appear at a public meeting in Stoke on Monday evening. In 2014, the then-UKIP chief was left with gooey yoke down the side of his blue blazer when a man cracked him in the head with an egg. On that occasion, a smiling Farage had just left a chauffeur-driven Land Rover when he was accosted in the city of Nottingham.